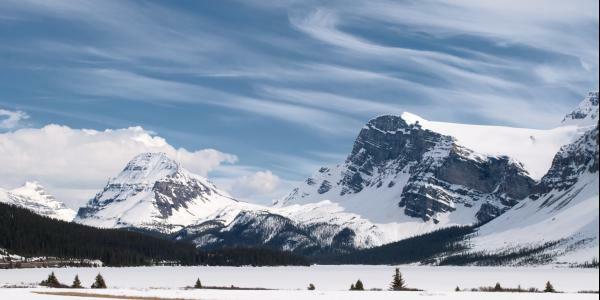 No drive is ever the same on the Icefields and that is especially true when one of the world's most scenic drives turns into a winter wonderland. 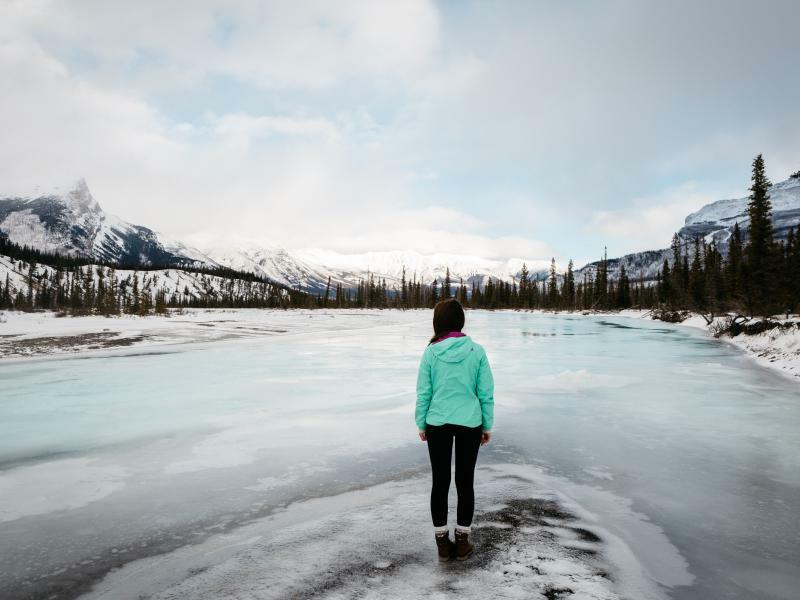 A compelling stillness settles in on the Icefields Parkway as it transforms in a beautiful drive of solitude and wonder. 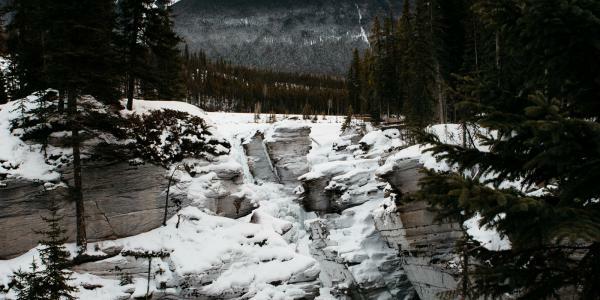 Roadside stops reveal ancient glaciers shifting and growling, and cascading waterfalls become icefalls. Snow-covered trails entice you to pull over and don snowshoes or skis for a peaceful winter adventure. It calls to winter's outdoor enthusiasts. 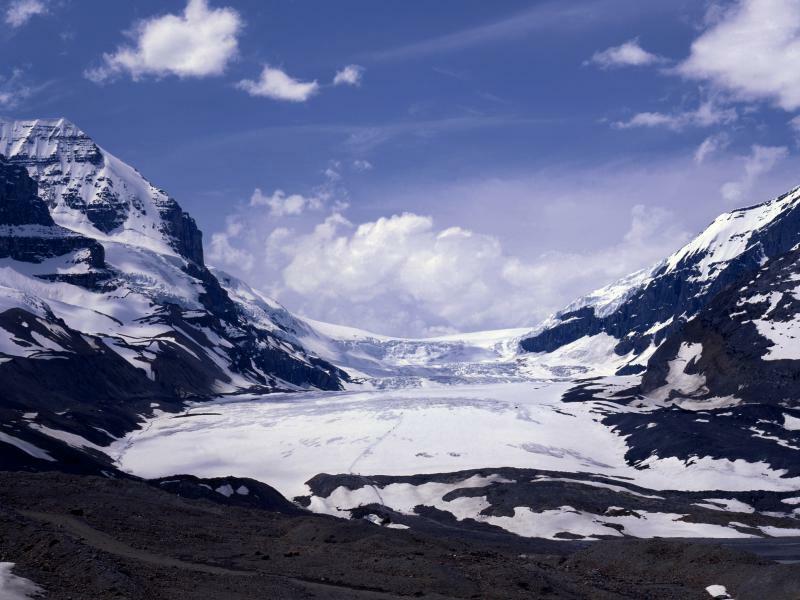 Did you know the Columbia Icefield is the largest icefield south of the Arctic Circle? 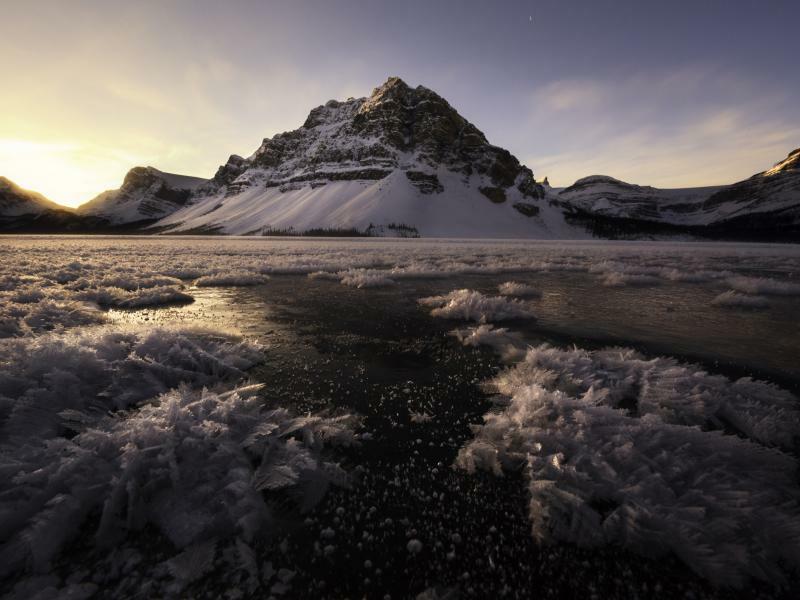 Roadside Stop: Named a century ago after a three-toed crowsfoot, this glacier now has one toe that has melted and the middle toe is slowly disappearing. However, you can see where the shape of this distinctive landmark took form. 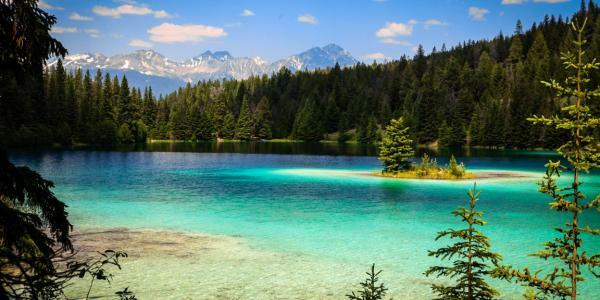 Roadside Stop: Bow Lake is one of the most scenic lakes along the Icefields Parkway, this lake is the source of the 587 km Bow River that flows south past Calgary. 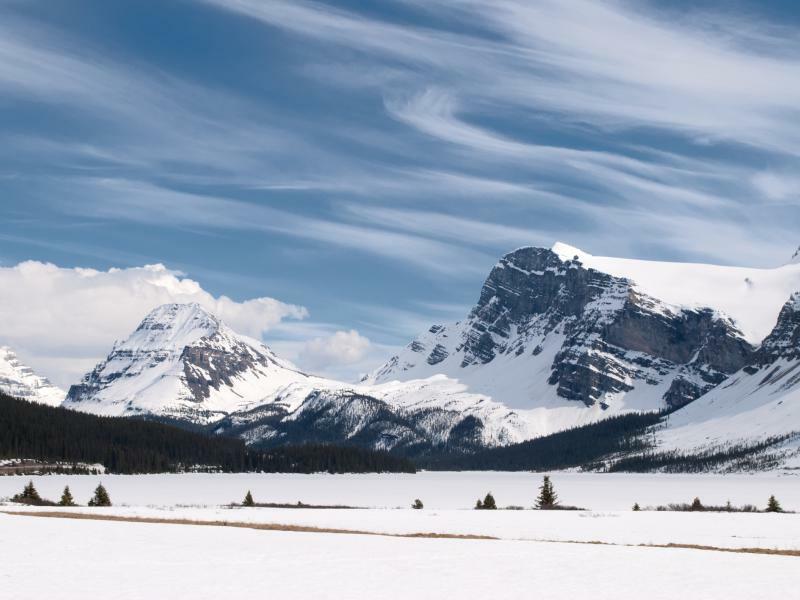 From the roadside take in the stunning views of Wapta Icefield, Bow Glacier, Crowfoot Mountain and Mount Thompson. 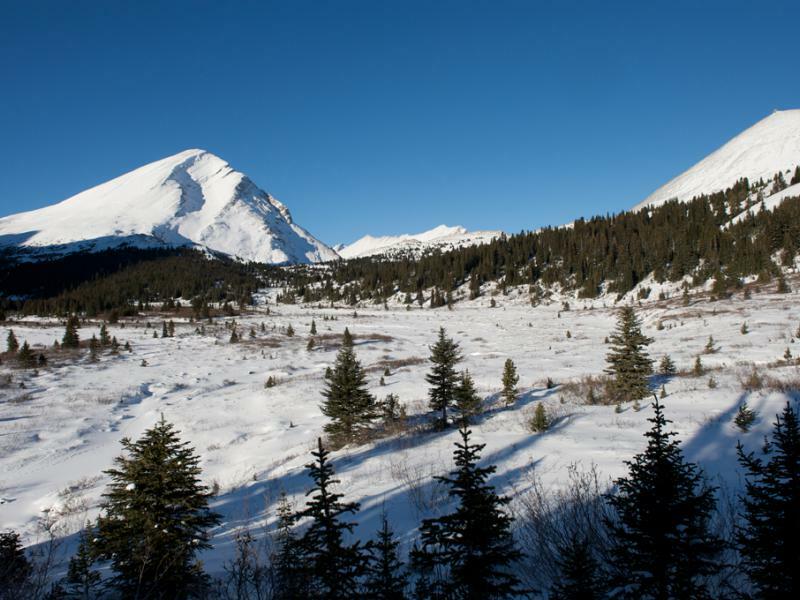 Snowshoe or ski: This trail offers challenging avalanche terrain so caution is advised. 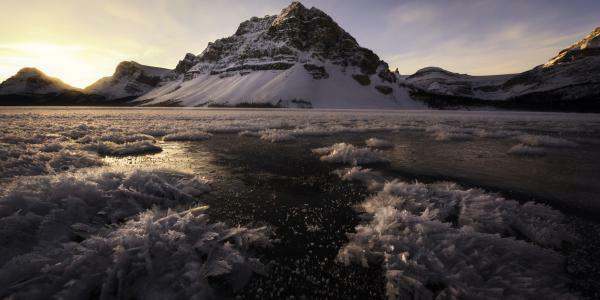 Trek along the shores of Bow Lake and then head up towards Bow Glacier Falls. This trail is 2-3 hrs return trip (6 km) with a 70 m elevation gain. 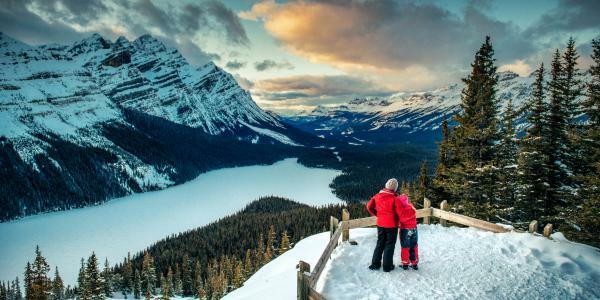 Snowshoe or ski: a short uphill snowshoe or ski from the road will take to the beautiful lookout over Peyto Lake, one of the most photographed in the Canadian Rockies. 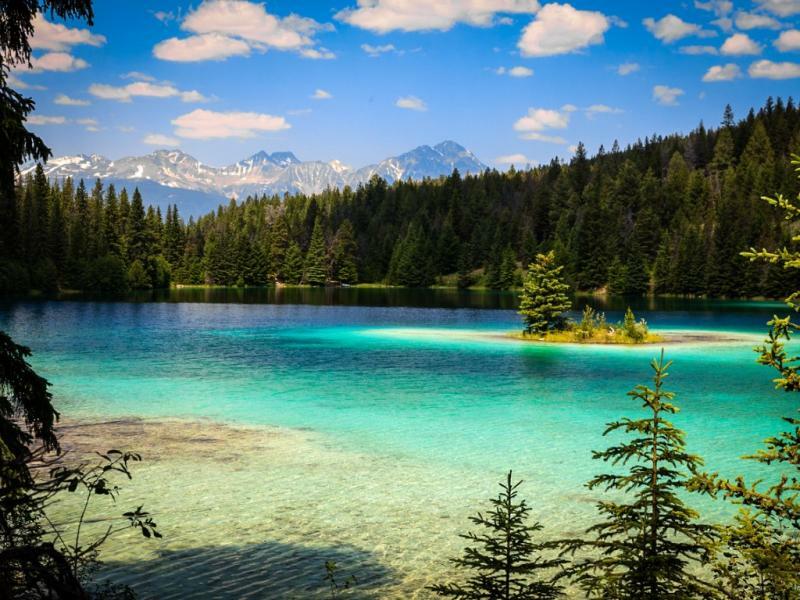 This lake is named after Bill Peyto, an early trail guide and trapper in the Banff area. 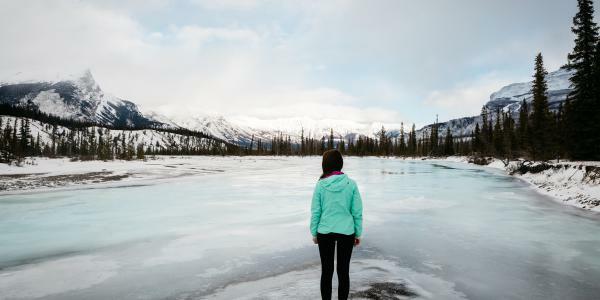 Short stroll: In sturdy boots or snowshoes, take a short 15 minute stroll with no elevation gain/loss to a magnificent view over the Saskatchewan and Howse river valleys. 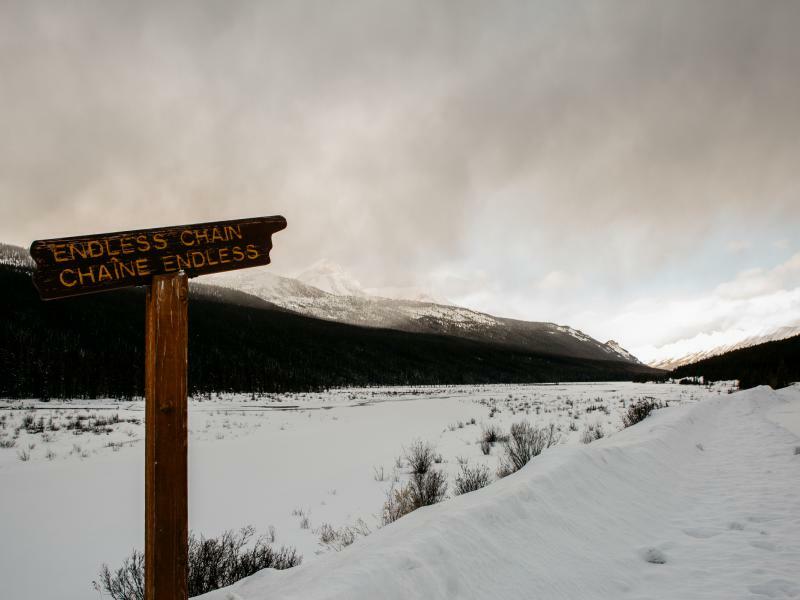 Snowshoe or ski: This trail offers challenging avalanche terrain so caution is advised. 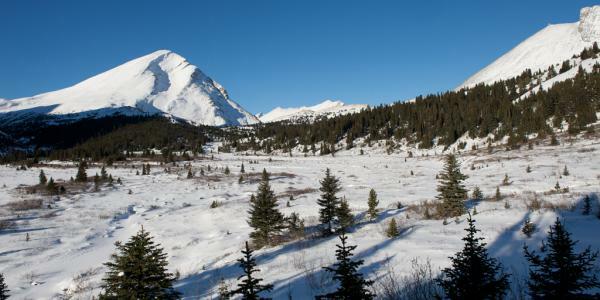 Nigel Pass offers a gentle climb through open forest leading to a wide-open alpine setting at the Jasper-Banff National Park boundary. 5-6 hrs return with a 385 m elevation gain. 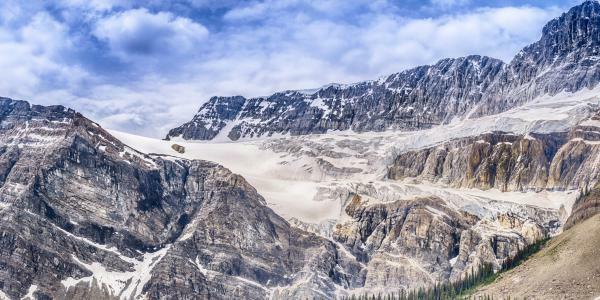 Roadside Stop: Standing at the foot of the Athabasca Glacier is amazing. 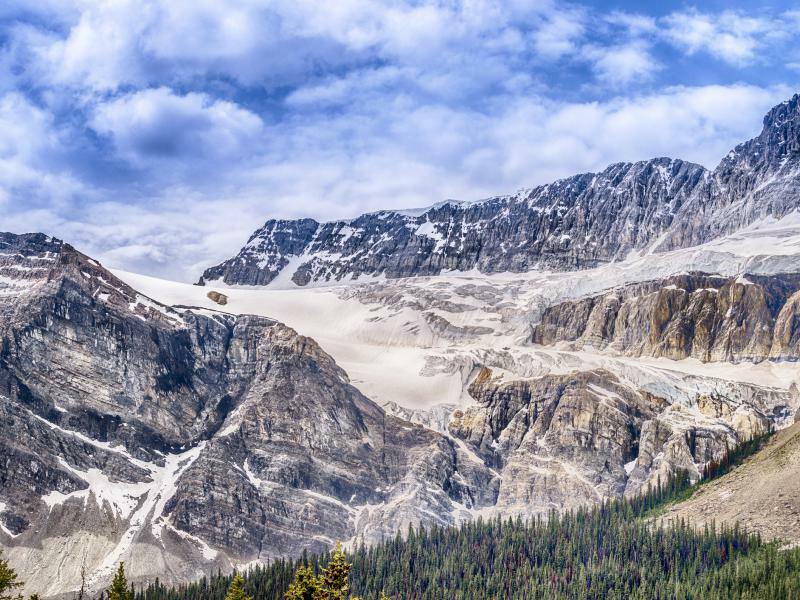 The dramatic landscape and towering peaks make you feel small standing in front of this massive glacier. Be sure to stop and listen as shifting ice groans and cracks. 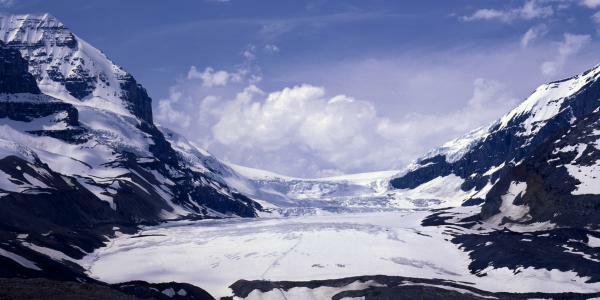 Do not walk on the glacier as hidden crevases and other hazards can be deadly. 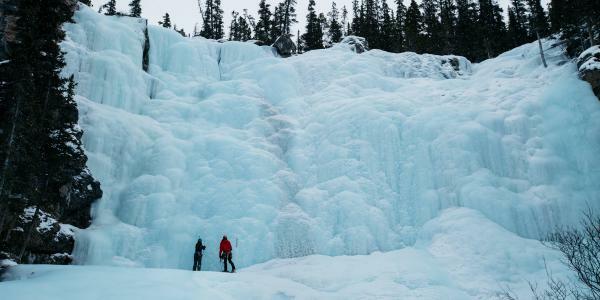 Roadside Stop: An ice climber's paradise, Tangle Falls is a breath-taking mastery of frozen water. 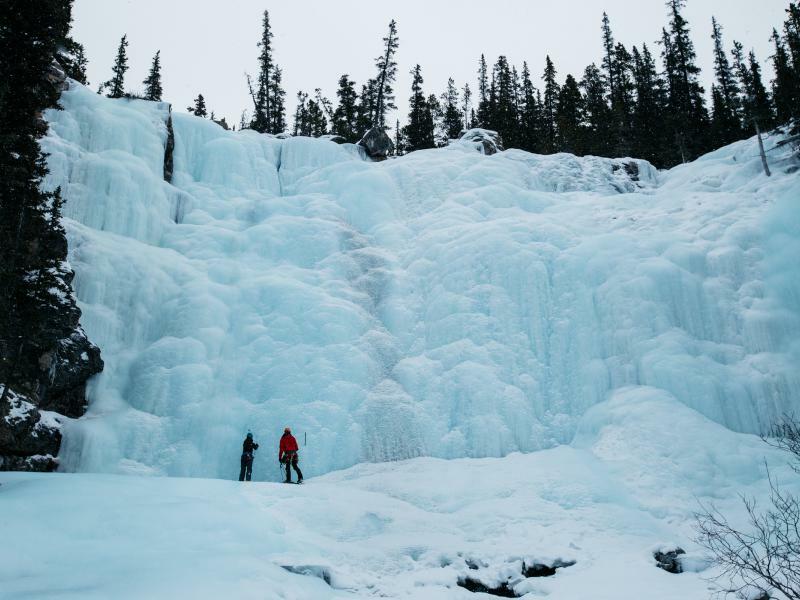 This beautiful cascading icefall just steps from the road provides one of the best photo opportunities on the Icefields Parkway. Roadside Stop: In her book, "A Hunter of Peace," Mary Schaeffer wrote "A short distance beyond the rock-slide and on the river''s right, begins a low, rocky ridge, which for length and unadulterated ugliness cannot be beaten. 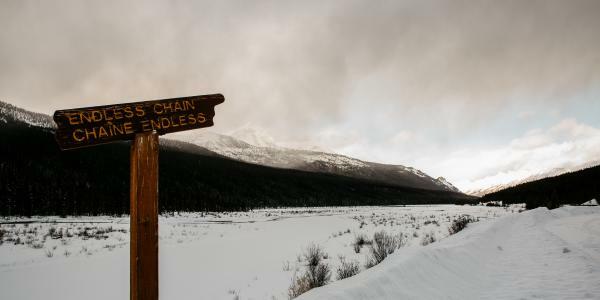 We trailed it for a day and a half and then named it ''The Endless Chain'' well named too, for on reaching the Athabasca shores, we found that it still stretched on in an unbroken line for miles down the river." 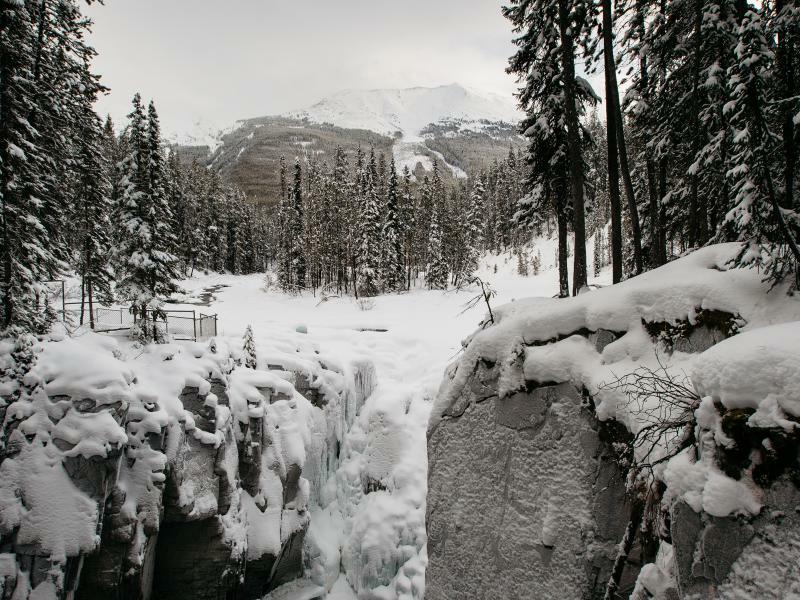 Roadside Stop: A popular stop year-round, Sunwapta Falls offers easy snowshoeing or access with skis to view a spectacular icefall that plunges into the canyon. You can continue on another 2 kms on an easy trail to the lower falls. 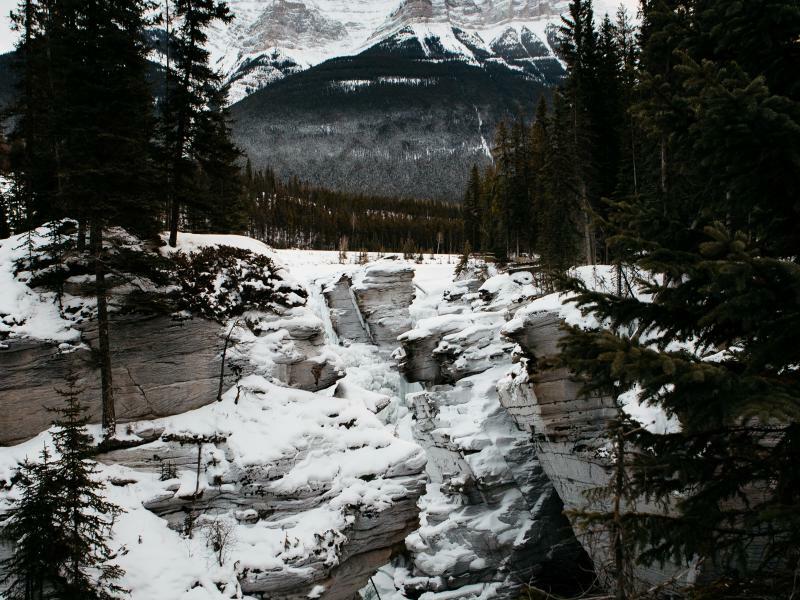 Roadside Stop: Athabasca Falls offers an easy winter hike into one of the most breath-taking falls in the Rockies. 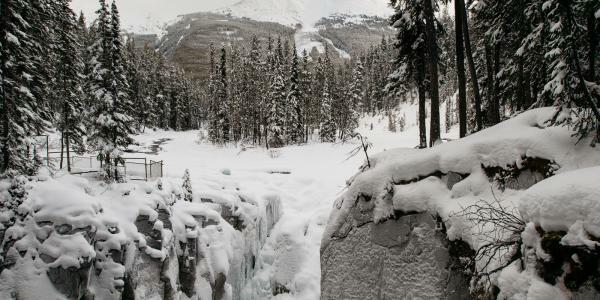 Ever-changing ice formations and the roar of water behind the ice make an amazing winter experience. You are encouraged to stay behind the railings and on the designated trails. 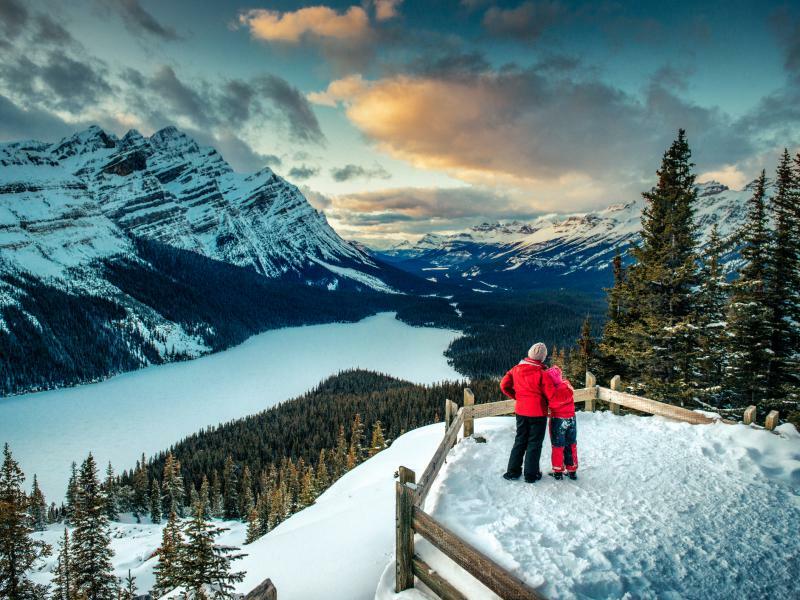 Save up to 20% when you book consecutive night stays at the Mountaineer Lodge in Lake Louise and the Mount Robson Inn in Jasper.